Please Note: a fake twitter account was created by one of our students that closely resembled Dr. Zalar's official twitter feed. The student was identified and is being disciplined according to the district's code of conduct. Falsifying and creating a social media account for someone other than yourself is cause for serious consequences. 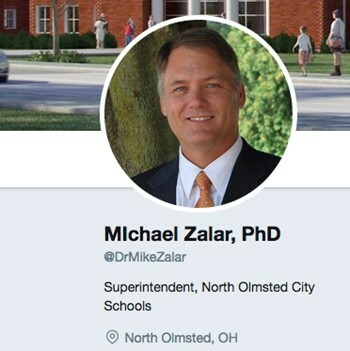 If you want to follow Dr. Zalar - this is his official account and he will update families, students and staff regularly.